Allergies are a result of an overactive immune system. The allergic immune system misidentifies un-harmful substances as harmful, and then fiercely attacks these substances. These attacks can create problems which may range from mildly inconvenient and uncomfortable, to extremely severe. Some common allergens: dust, mold, pollen, pet dander. Sinol’s main ingredient, Capsaicin, is found in the pepper plant. 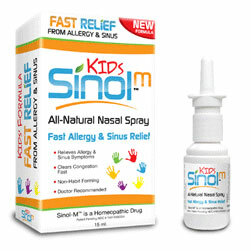 The Capsaicin in Sinol Allergy nose spray desensitizes the mucous membranes in the nose making them less irritated by airborne particles and allergens. It helps to relieve allergies, congestion and sinus headaches fast. Capsaicin prevents allergy triggers while our other natural ingredients keep your nasal passages moist, clean and free of bacteria and infection. 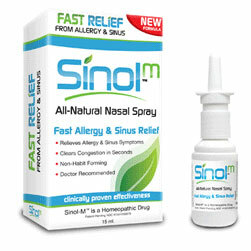 Our combination of Capsaicin and other all natural ingredients is what makes Sinol All Natural Allergy spray the most highly effective nasal sinus spray on the market today for allergy relief, headache relief, sinus and sinusitis treatment. Sinol does not dry out the nose like antihistamines and decongestants. Neti Pots and other saline sprays can dry out your nose and create soreness and cracking. Sinol moisturizes with aloe and eucalyptus to help keep your nasal passages moist, healthy and bacteria free. 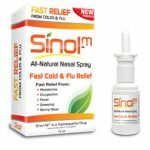 Get instant pain relief using the most powerful allergies and sinus nasal spray on the market today.